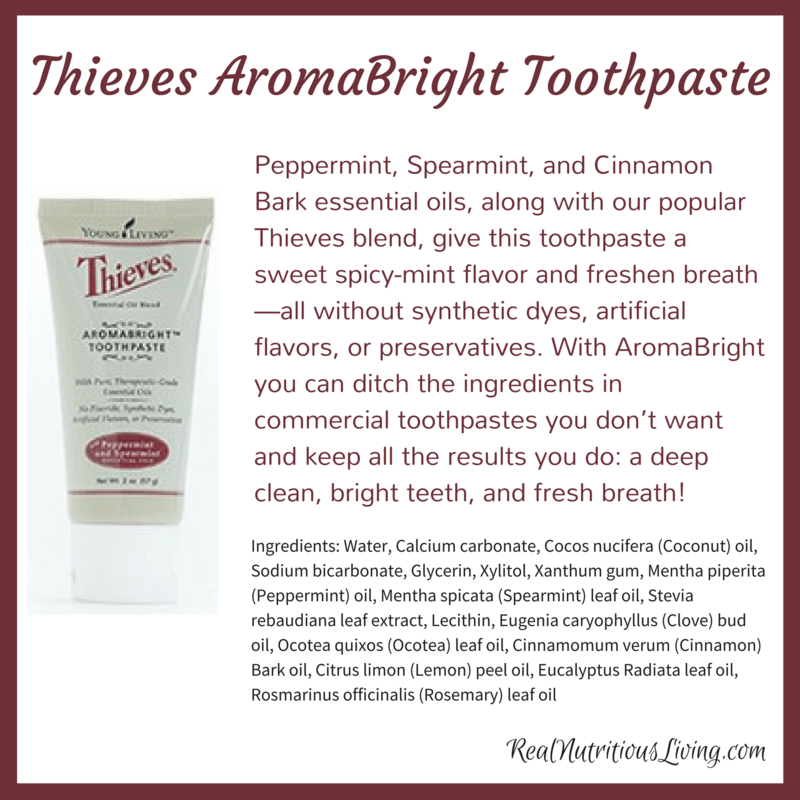 Maintain healthy-looking teeth and gums with Young Living’s Thieves AromaBright Toothpaste. Combining the benefits of our Dentarome Plus and Dentarome Ultra Toothpaste, AromaBright gently bushes away daily buildup and helps combat the effects of unsightly staining. 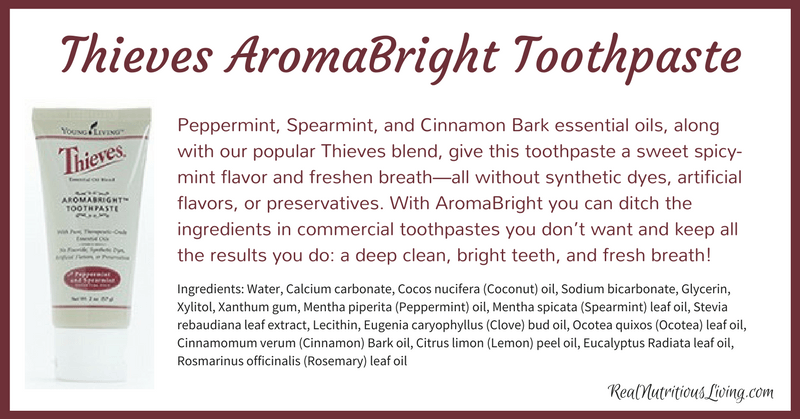 It’s tough on buildup, but its smooth, plant-based formula is gentle on teeth and their delicate enamel.